It's easy, when you're inventing investment account statements out of whole cloth, to make yourself look like a financial wizard. Or maybe it isn't. 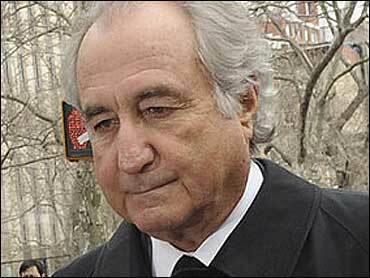 Bernard Madoff put quite a bit of work into it. What's clear from the evidence against him is that Madoff never really invested a penny of the $65 billion investors trusted to him. It's not like the guy was skimming a little off the top of his transactons. He didn't buy or sell a share of anything on his investors' behalf. He just took the money and sent back made-up statements. But like any good con artist, Madoff had to give his marks something to believe in. And he did. According to charging documents, Madoff pitched investors a strategy he called "split strike conversion" that involved investing in a basket of 35-50 stocks from the S&P 100 (the 100 largest publicly-traded companies in the United States). He promised to "opportunistically time" his purchases and he said he was pulling out of the market occasionally and rolling the money into Treasury notes. And he said he was using option contracts, particularly "put" options that allow the holder to sell stocks at a certain price, to "[limit] potential losses caused by unpredictable changes in stock prices." Naturally, the Madoff firm had an office and a staff. No matter that the employees had "little or no prior pertinent training or experience in the securities industry," according to the charging documents. They sent out the statements showing that Madoff had delivered on his promise of 12, 20 or even 46 percent gains, month after month. Madoff also moved money from his New York-based business to a London-based business in his name, helping him, in turn, "give the appearance that he was conducting securities transactions in Europe on behalf of the investors, when, in fact, he was not conducting such transactions." As for the occasional investor who asked to withdraw their money, Madoff simply paid them with someone else's, drawing from the vast operating account he was sitting on. Ironically, these people who withdrew - for whatever reason - from Madoff's firm are the only ones who really did receive the imaginary gains. It's been said before that things that appear too good to be true probably are. CBS News legal analyst Andrew Cohen made that point eloquently in a column earlier Thursday. Many - though certainly not all - of the investors who gave Madoff their money should have known that nobody has the financial chops to "opportunistically time" every purchase and get safely into treasuries every time the market drops. Even Warren Buffett ("the Oracle of Omaha") lost $25 billion last year. The sections of the Madoff criminal complaint describing how his fraud worked are provided below. The full document is available here. 7. In the course of carrying out this scheme, BERNARD L. MADOFF, the defendant, made, and caused others to make, false representations concerning his investment strategies to clients and prospective clients of BLMIS. Among other things, MADOFF marketed to clients and prospective clients an investment strategy referred to as a "split strike conversion" strategy. Clients were promised that BLMIS would invest their funds in a basket of approximately 35-50 common stocks within the Standard & Poor's 100 Index (the "S&P loo"), a collection of the 100 largest publicly traded companies in terms of their market capitalization. MADOFF claimed that he would select a basket of stocks that would closely mimic the price movements of the S&P 100. MADOFF further claimed that he would opportunistically time those purchases, and would be "out of the marketrr intermittently, investing clients' funds in these periods in United States Government issued securities such as United States Treasury bills. MADOFF also claimed that he would hedge the investments that he made in the basket of common stocks by using investor funds to buy and sell option contracts related to those stocks, thereby limiting potential losses caused by unpredictable changes in stock prices. 8. Further, to induce new and continued investments by clients and prospective clients, MADOFF promised certain clients annual returns in varying amounts up to at least approximately 46 percent per year. MADOFF also told certain clients that the fee for his services would be based on an approximately $0.04 per share commission on the stocks that MADOFF traded for such clients. 9. Contrary to his promises to those clients that he would use their funds to purchase securities on their behalf, and would invest client funds pursuant to the strategies he had marketed, MADOFF used most of the investors' funds to meet the periodic redemption requests of other investors. In addition, MADOFF took some of these clients' investment funds as "commissions," which he used to support the market making and proprietary trading businesses of BLMIS, and from which he and others received millions of dollars in benefits. consistent with the returns that had been promised to those clients. 11. Moreover, to support BLMIS's market making and proprietary trading businesses, between at least as early as in or about 2002 and in or about 2008, BERNARD L. MADOFF, the defendant, caused more than $250 million of BLMIS investment advisory clients' funds to be directed, through a series of wire transfers, to the operating accounts that funded the operations of these businesses. Specifically, MADOFF caused those investor funds to be sent from a BLMIS account in New York, New York (the "BLMIS Client Account"), to accounts held by MSIL in London, United Kingdom (the "MSIL Accounts"), and further caused funds to be transferred from the MSIL Accounts to either the BLMIS Client Account or to another bank account in New York, New York, which was principally used to fund BLMIS's operations (the "BLMIS Operating Account"). MADOFF directed these funds transfers, in part, to give the appearance that he was conducting securities transactions in Europe on behalf of the investors when, in fact, he was not conducting such transactions. MADOFF also directed the transfer of funds from the MSIL Accounts to purchase and maintain property and services for the personal use and benefit of MADOFF, his family members and associates. 12. To conceal his scheme, BERNARD L. MADOFF, the defendant, among other things, withheld information from regulators and repeatedly lied to the SEC in written submissions and in sworn testimony.